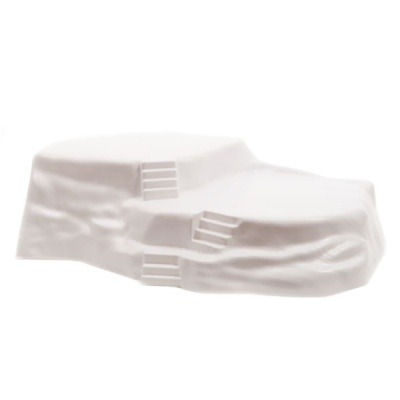 Kaemingk Snow Landscape White Display Platform provides an extremely rigid scenic base for placement in a miniature model Winter village setting. Suitable for heavy model buildings and is designed to be decorated with other scenic accessories to further add authenticity. Suitable scale for use in Lemax Miniature Villages and with the MyVillage range of scenery. Constructed from strong resin white plastic, showing a mountain scape with 3 steps and 2 flat platforms for mounting buildings or figurine scenes. Fully Compliments the Lemax and MyVillage range of Christmas accessories.